In the words of Paul Revere: Christmas is coming! Christmas is coming! 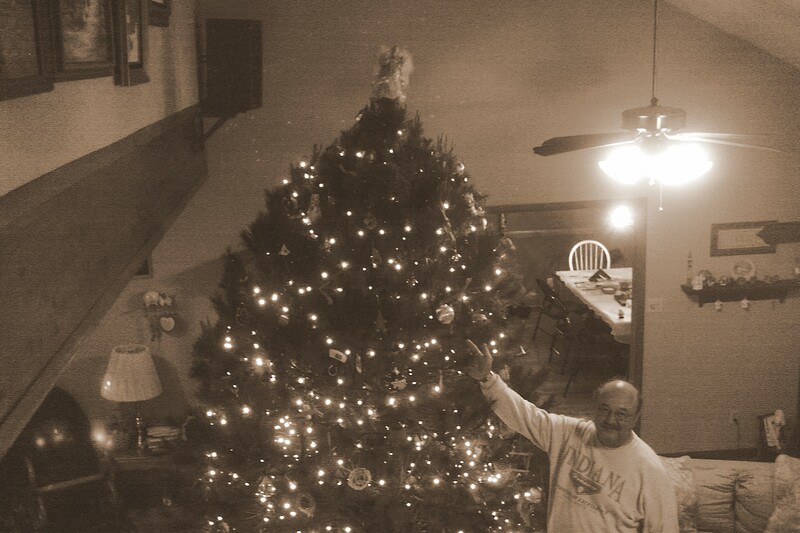 We have a tradition in the Miller home of (the kids) taking turns to pick out the Christmas tree. I picked this year’s. It’s gorgeous. The last time I picked a tree was seven years ago (which makes me think my turn was skipped or I’m a liar and picked another one in there). Anyway, the last tree I picked was a thing to behold. A beast. A beaut. A symbol of the magnitude of joy Christmas contains. Oh, and if you want to know what to get me film lovers for Christmas, this short gift guide might help you out: LYDIA. I’m not really flying, no. Those aren’t actually homes. That’s the Peter Pan set from Disney World. Trust me, I’ve been there. This lasts until that woozy feeling you get when the plane dips a little, making it seem like you’re on a roller coaster for about 0.4 seconds. Then you realize you are on a plane that’s up in the air, and you didn’t really listen to the flight attendants’ instructions, did you? At twenty, I had a glamorous view of life in the air. Last time I flew, I had matching capris and tennies. This time though. This time I would fly in style. I’d probably be asked to model the plane, I’d be so beautiful. (I don’t think I understood that planes are different than designer clothes.) I dressed up, complete with heeled shoes that were difficult to get on and off in security (and therefore made everyone hate me). I boarded the plane, and no one else dressed up. No one would ever be dressed up. In fact, the lady walking through the airport in heels is a beacon of inexperience blinking at anyone who looks at her feet. Why aren’t people dressed up? Why isn’t flying this glamorous thing? Anger. So much anger. Okay, okay. So the dressing up thing didn’t work out. How about I just meet someone really great on the plane, huh? Like, obviously he’ll be my soulmate and we’ll live happily ever after, and I’ll never mention the dressing up thing again. Be careful with this stage. This is how you end up making a birthday card out of a barf bag for a semi-cute, semi-smart, full-on-socially-awkward young man that you will (hopefully) never meet again in your life. True story. This happens when you’ve full-on given up on flying. For the longest time I had the incredible ability to wait just long enough for everyone in my row to be seated for takeoff before I fell asleep for the ENTIRE flight. It was a thing to behold. I wore sweatpants and mismatched socks (if any socks), and I didn’t shower beforehand. Sometimes I’d bring massive amounts of smelly food to eat (because the whole cabin was going to smell terrible soon enough), and I didn’t even bother trying to say “hello” to the people next to me. It was kind of a sad stage, really. This is the healthy stage of flying (I think). This is where I’m finally at. In this stage, you make chit-chat with the individuals around you, but you aren’t offended when they don’t want to talk (and you don’t go overboard and make them a barf bag card when they do). In this stage you do a lot of reading on planes. You do a lot of laughing and crying on planes. I read Hoosier John Green’s The Fault In Our Stars on a plane. Yikes. Talk about giggling hysterically and then sobbing hysterically as I was literally 🙂 wedged between two strangers. But that’s okay because that’s flying. That putrid smell wafting through? That’s flying, too. So are the delays. So are the missing bags. So are the incredibly intimate moments of falling in love with a book while strangers surround you. That’s flying. Heck, that’s life. And in three hours, you’ll be home, and that’s magical. Last weekend was an adventure. Okay, okay, every weekend is an adventure, but last weekend was a really BIG, SURreal adventure. See what I did there? Last weekend I was fortunate enough to go to a super sweet writer’s conference in Big Sur. The experience was magical and whimsical and cold and full of laughs and packed with complete freakouts. Jill drives us from Malibu to Big Sur. We pass a zebra farm (with an ocean view). Why not? We get ready in the bathroom of the lodge’s lobby because our room isn’t ready yet. Great. I rewrite my first ten pages starting from scratch. Printing issues. “Just tell him to bring my laptop to the airport. I’m going home.” I never thought I was this dramatic. 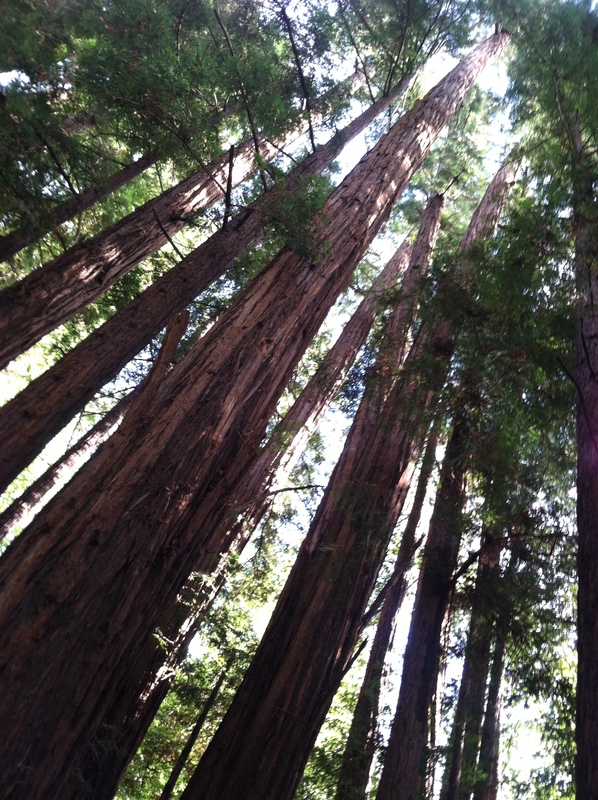 I remember that the world is a magical place full of redwood trees. I go back to workshop, and my new pages are well-received. Overall response: “Always write like this.” Will do. So much coffee. Not enough water. I am on top of the world, and so is the entirety of FAC (First Authors Club). We sing ROAR with more passion than anyone ever singing a Katy Perry song should. 20 mins later in the lobby. We kick off the drive back with 30 minutes of laughing, screaming, and singing loudly. It’s a total manic blackout. I’m just happy we survived. I’m so thankful to have Jill and Katie, two brilliant, amazing writers and friends. I’m so thankful that I write and that what I write has a place in the world. I’m so thankful I went to Big Sur. 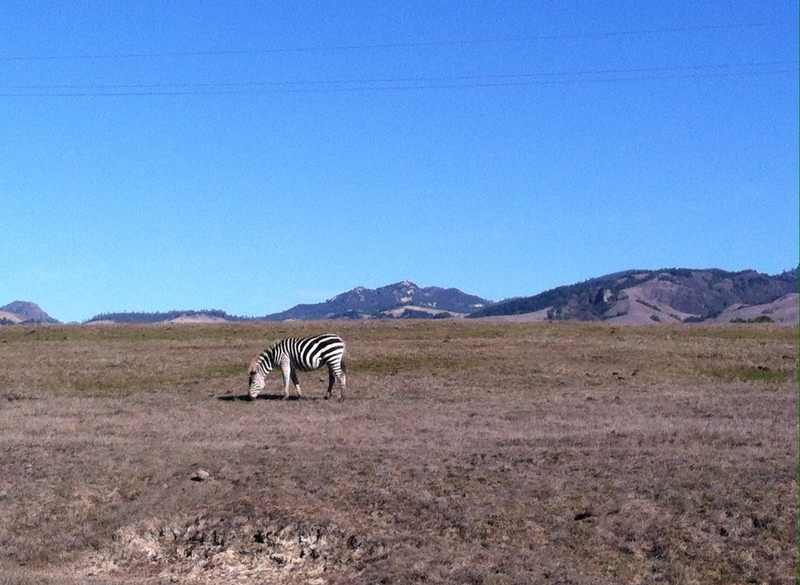 Oh, and I’m so thankful for you… and zebra farms. Hello!!! Shout out to December for arriving on time! This fine evening I was able to attend FLAF, or Pepperdine’s Fall Literary Arts Festival, put on by my screenwriting program. I know this is all fascinating to you. I was seven and at a family picnic thrown by dad’s department. Dad worked in a lab that developed drugs to treat Alzheimer’s and studied their effects on rat brains. So it was quite the picnic full of nerds. My entire family stood still. How could this kid do something soooo private in front of everyone? I mean, this was a drawn-out, no shame fart. My brothers erupted into a fit of giggles. I didn’t because- as any of my peers and teachers can tell you- I never get the giggles. Everybody farts then became the catch phrase of the Miller family. All of the sudden it was acceptable to say fart as long as you did so in an English accent. And these moments of repeating the phrase, of smelling the stink, made us laugh. They made us comfortable, and even in a family, they made us closer. I think this applies to the world. I became best friends over a fart. Theirs. I’ve lost friends over a fart. Mine. And I suspect that someday I will fall in love over a single, spectacular fart. There are a lot of places that it’s not okay to fart. Churches, schools, funerals, airplanes- although there’s always one- FLAF. Places where we are expected to sit still, be quiet, and try not to make eye contact with the person next to us. Instead, we are almost encouraged to focus on ourselves, to focus on being quiet and flatulence free. These moments of silence and clean air are the moments when we fail. We fail to talk to the old woman sitting next to us who can’t wait to tell us about her newest grandchild and his toots or the person who just wants to share a joke at the check-out counter or your new best friend or the weirdo you need to stay away from. My farts are a gift! A glory to God! So what keeps us from sharing our gifts? Is it fear? Fear of failure or judgment or that the person next to us is a weirdo? Fear of our gifts not being big enough or smelly enough? The fear applies to words, too, not just toots. That fear stops us from talking. We hold onto our words like we hold onto our farts. We swallow them. And they gurgle painfully inside of us. Because we weren’t meant to keep them in. We were made to let them out. All of our gifts. Even when it’s a fart. I want to know you. I want to know your gifts and what your farts smell like. Even when I don’t think I want to. Even when I don’t like you. I want the gurgling inside of you to come out. And I want that for me too. I believe if we let go of that fear, we might find more friends, we might have more farts and laughs and love, we might find that we’re a bit more a like than we thought. After all, everybody farts.